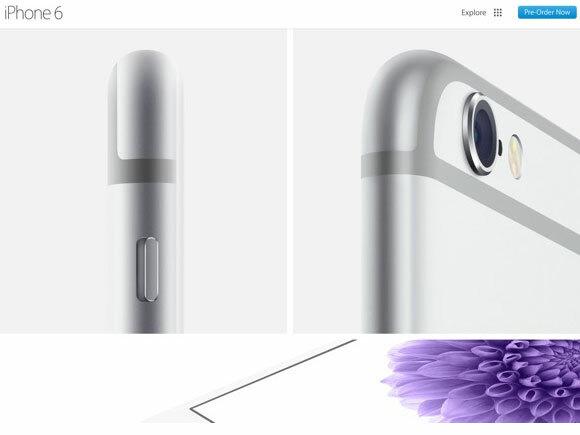 The iPhone 6 measures just 6.9mm thick and as a result, the 8MP camera protrudes at the back. That’s not unseen before, but it certainly isn’t a very pretty sight and Apple is obviously not too proud of it. Using clever angles and, in some places, seemingly image editing, the bulge in question isn’t visible at all in the official photos of the smartphone. That’s understandable, as Apple is driven by its desire to present the iPhone 6 in the best possible way in its promo materials. However, that shouldn’t happen at the expense of facts, at least in our opinion. The camera bulge at the back won’t let the phone lie flat and will most likely get scuffs after the first couple of weeks. We’re eagerly awaiting the arrival of the iPhone 6 and iPhone 6 Plus to put them through our extensive testing and share their reviews with you.